The first single actuator wave-like robot (SAW) has been developed. 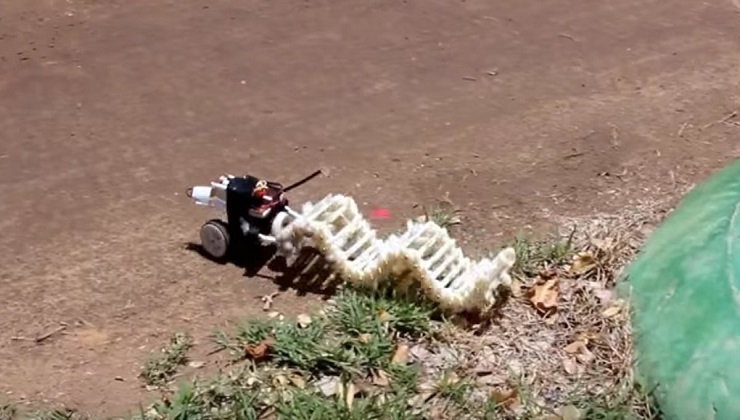 The 3D-printed robot can move forward or backward in a wave-like motion, moving much like a worm would in a perpendicular wave. SAW reaches a top speed of 1.2mph (or 57cm per second) and uses a single motor with no internal spine.